There is exciting news from the Ireland team! A Motorsport Event E-Permit Portal is in the works in the United Arab Emirates thanks to ActionPoint. As a result of beating out several international competitors, ActionPoint recently won the opportunity to deliver this key strategic project for ATCUAE (Automobile & Touring Club of the UAE). 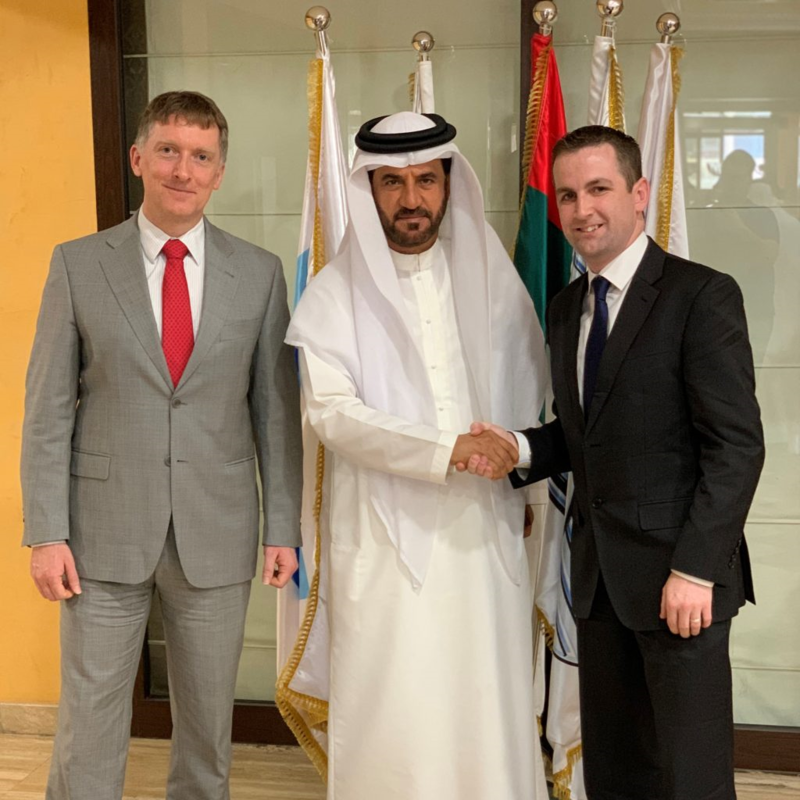 The agreement was signed in Dubai between ATCUAE President Dr. Mohammed Ben Sulayem and ActionPoint Co-founder John Savage. ATCUAE is one of the oldest national organizations in the United Arab Emirates, and was founded in 1965 is the sole representative of the Federation Automobile International (FIA) in the UAE, ATCUAE governs approximately 140 competitive motorsports events including the Abu Dhabi Formula 1 GP, Cross Country World Cup and World Rally X events. Essentially before any motorsport event is organized within the UAE, a permit must be granted by the ATCUAE. The application process has been slow historically, manual and labour intensive, with multiple event types and data point requirements, across location, insurance, course maps and user details. The new portal will provide motorsport event organizers with an online self-service tool to initiate and complete their event-permit application process. It will also facilitate secure online payments with full PCI-DSS compliance. The new E-Permit system will provide event organizers with complete visibility of the approval process significantly reducing the time and costs around managing permit approvals. The new system is scheduled to go live later in the year. Dr. Ben Sulayem, himself a fourteen times Middle East Rally Champion, confirmed that once the system is working in the UAE he plans to roll out the system across the Middle East and North Africa region, ideally in the next 12 months. The solution will be built on Microsoft Azure and Dynamics ensuring a highly secure, scalable and enterprise-grade platform. This provides the ease of use and stickiness, key to driving rapid adoption for the ATCUAE. In building the solution on Microsoft Azure the organization’s growth plans are fully supported now and into the future. ActionPoint’s CTO and Co-Founder John Savage said of the news, “ActionPoint is delighted to have been chosen for this project, which will enable ATCUAE to completely transform their permit application process, using the power of Microsoft Azure combined without our vast experience at building custom software and enabling Digital Transformation. With over 140 events running each year in the UAE, the new system will make a significant impact on their organizational resourcing and overall efficiencies. We work with a number of sports data and sports technology clients, and so the inclusion of motor sports to the mix is very exciting. This project will have a focus on usability, security and of course accessibility across multiple languages”. Dr. Ben Sulayem said “Our mission is to improve the management and governance of motorsport. This new system will greatly reduce the amount of admin time spent processing permit requests for all users. This will also be the first regional system of its type in the motorsport world and the start of a development journey which will bring more new technologies to the governance of motorsport,” said Dr. Ben Sulayem who is also the FIA Vice president for the MENA region.